Do you know that our biochemical processes do not require identifying an element by its name? For example: In the biochemical process of Thyroid Hormone synthesis, it requires electrons to form T3 and T4. We call it as Tri-iodo-thyronine and tetra-iodo-thyronine. But the body chooses to get its electrons from Iodine, which is the weaker element in the Halogen group - Fl-Cl-Br-I-At. Astatine is a rare radioactive element and is similar to Iodine in its properties. Due to the heavy contamination of our food, water and air with the halogens group, there occurs more readily available electrons in abundance from Fluorine, Bromine and Chlorine, which overtakes the electron affinity of Iodine with thyronine molecule to take part in the T3 and T4 formation. The T3 and T4 molecules formed from highly reactive electrons of Fl and Br etc wont be biologically available in further Vital reactions. That is the reason why even though we are supplying Iodine in abundance, the body cannot take up it in presence of Fluorine and chlorine and leads to thyroid dysfunctions of various natures. So it is clear that, body recognizes the elements by its electron affinity and re-activity and not by its alphabets as we use. When so called science acknowledged Heisenberg' s uncertainty principle which occurs at electron levels, we are unable or for some reason or other refuse to accept evident healing that ensues with ultra molecular dilutions of homeopathic drugs because as of today's levels of scientific assays and knowledge, we are unable to elucidate plausible mode of actions of our medicinal. Hence are brushed aside as placebo effects or spontaneous healing by the conventional medicine practitioners and associated pharmaceutical lobby. Even if we are to adduce any plausible, logical mode of action based on nanotechnology, MIT etc, ultra dilutions are simply non acceptable to them as it is bound to against their very business revenues and selfish interests. The evident healing that are made visible occur, at much subtler energy levels quite unacceptable to opponents of vital force. These very people may agree without any hesitancy law of conservation of energy, matter etc also may accept conversion of matter into energy and reverse phenomenon but still do not want to subscribe to existence of vital force or soul governing its instruments: body, mind, intellect etc as it contradicts their atheistic stance and beliefs, hence uncomfortable and indigestible. What is the nature of matter- energy transfers or energy to energy conversions and its nature are unknown, uncertain today and may never be accessible or available. But it does not mean that homeopathy drugs are placebo effects or instances of spontaneous healing. Now here comes the question of Nano particles. It is obvious that the scientists have found out certain Nano particles of metal elements in our dilutions. But the rest of the story is not touched by them. We know that, the majority drugs we use in our practice is from the plant kingdom - which comes to about 80% - 85%. If the nano particles are searched in these complex organic substances, how are they going to find the PARTICLES. The properties a plant manifests is due its nature of the ALKALOIDS. 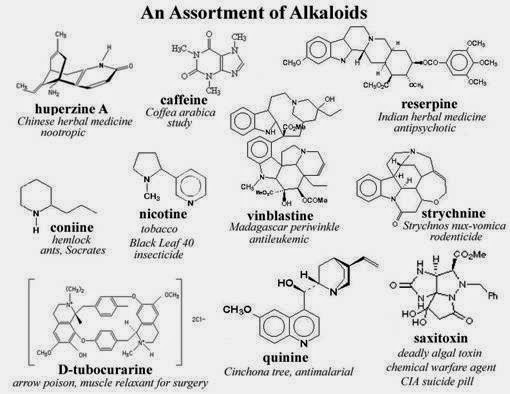 If we study the structure of alkaloids we can see that - 4 ELEMENTS are common to all of them - viz., NITROGEN, CARBON, HYDROGEN, OXYGEN. Apart from these, trace amounts of other elements too may occur in the chemical structures, but in trace amounts. So the question is, how can we find out NANOPARTICLES of GASEOUS ELEMENTS like NITROGEN, HYDROGEN, and OXYGEN. Is it possible to identify nanoparticles of the alkaloid as such? If not and is only identifiable as individual elements - then what is the use of using all these different drugs? Just use these individual elements as medicines and save time and money? Even though all the alkaloids have the same elements in its structure, the chemical and physical properties of the alkaloid structure are the deciding factor for the biological action. The alkaloids take part in vital reactions to affect the hormones, neurotransmitters, and enzymes to produce good and bad symptoms. All what happen inside is the electron and proton transport and ionic exchanges. So the biggest question unanswered by this Nanoparticles theory is - How is it possible to explain the Active principle involved in homeopathic drug proving, and cure and the Biological Mechanism of Action of these NANOPARTICLES.